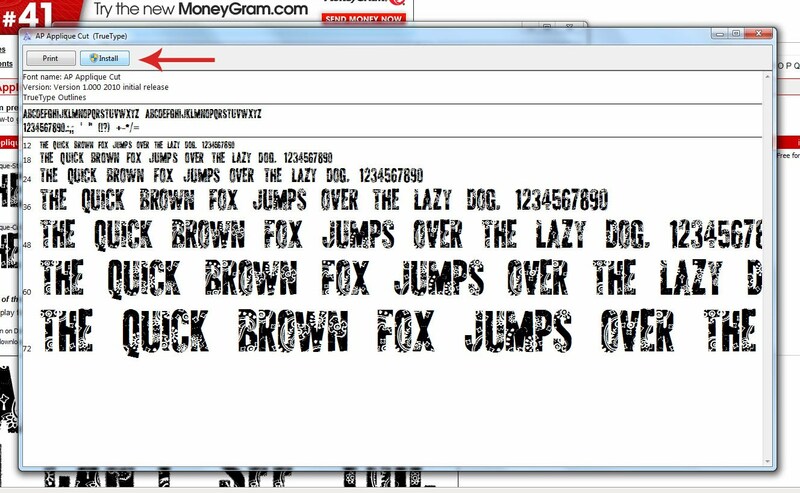 Thank you for your responses to my last Techie Tuesday tutorial on How-To Install Fonts on a Mac. 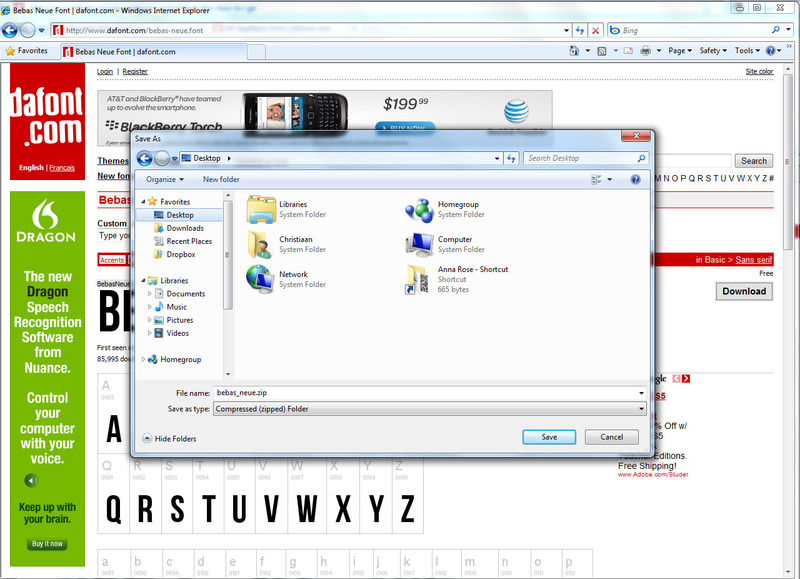 Today, I'm honoring the request of my PC (Windows Vista or Windows 7) readers with a tutorial on How-To Install Fonts on a PC (Windows Vista or Windows 7) using either Internet Explorer or Firefox as your browser. 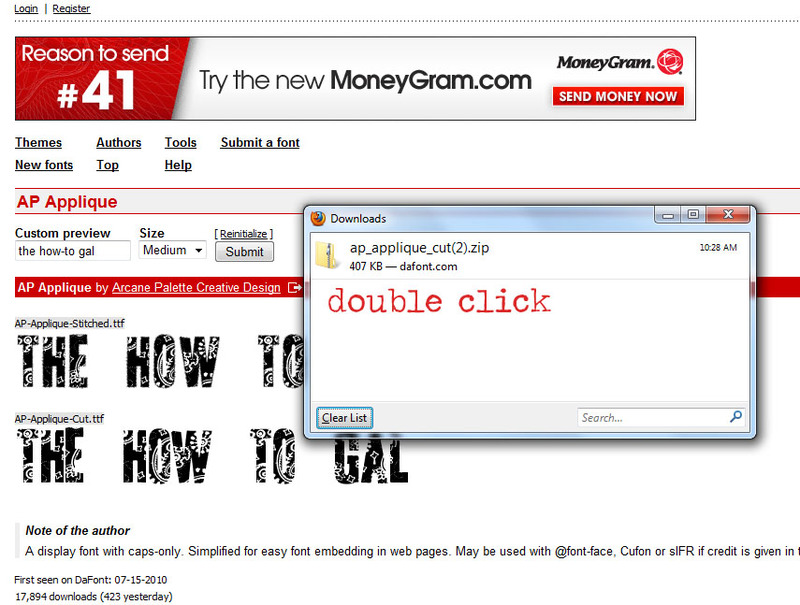 Begin by finding the font you wish to download and click the download button. 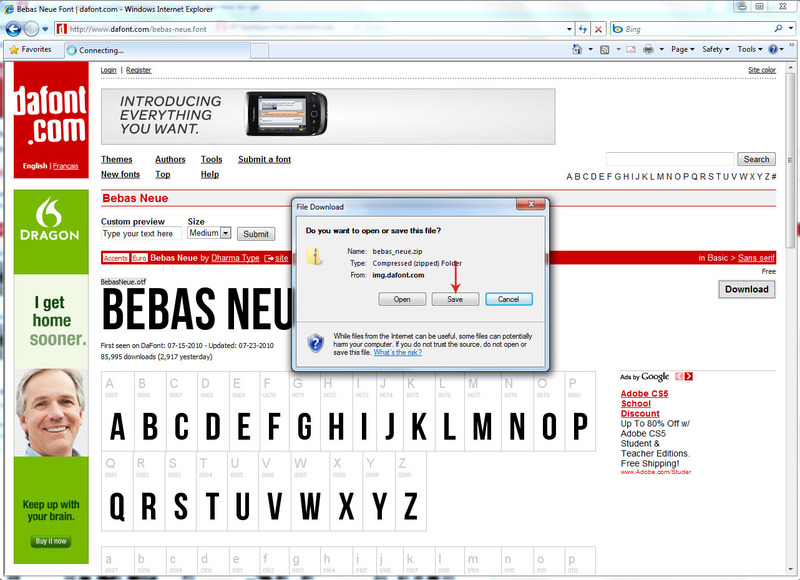 I, of course am using www.dafont.com. 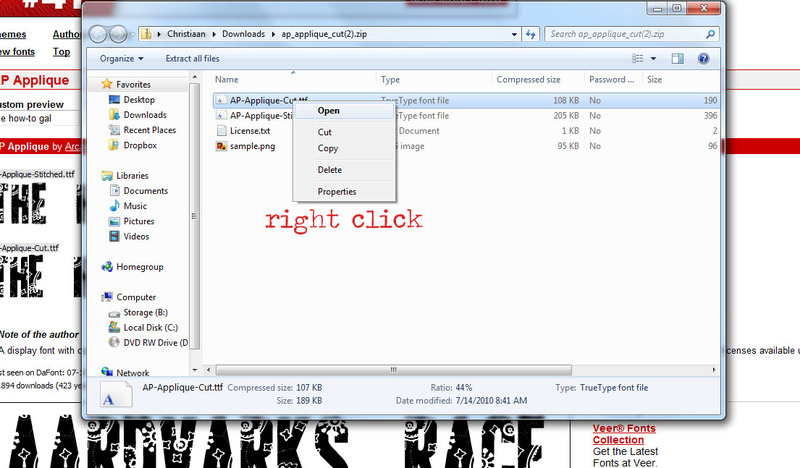 In Firefox, you will be asked to open with (...) or save file. Choose save file. In Internet Explorer, you will be asked to Open or Save file. Choose Save. 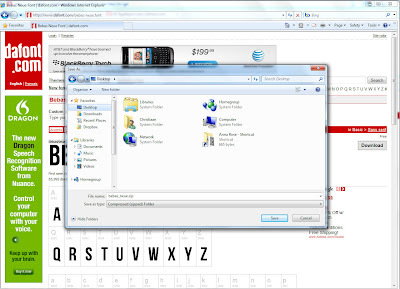 In Internet Explorer, it will ask you where to save the file. Choose some place you will remember or don't care about font files being downloaded there. 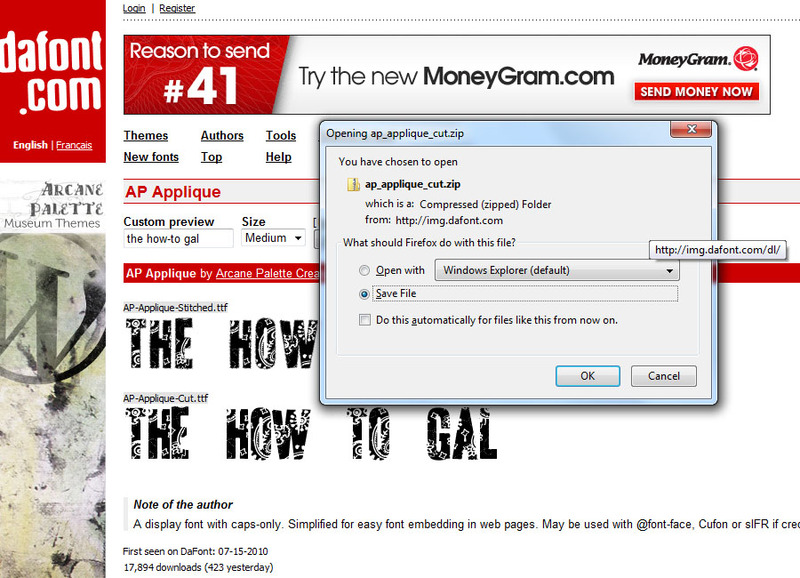 In Firefox, the font will just automatically download and once the download is complete will pop up with this box. 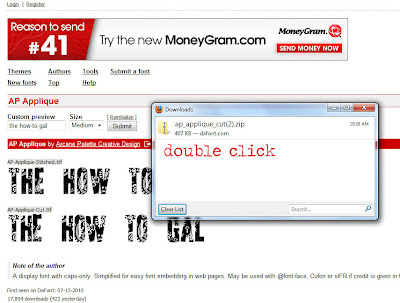 Double click on the file. 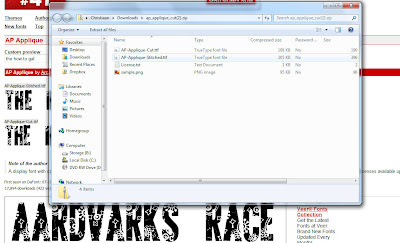 In Internet Explorer, once the download is complete it will prompt you with this box, click open folder. From here it is the same steps for each browser. 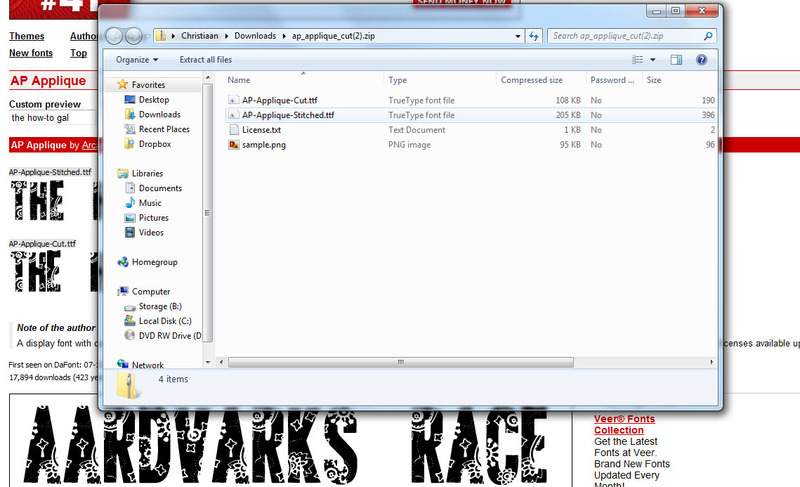 Once the folder is open you will see the font files. 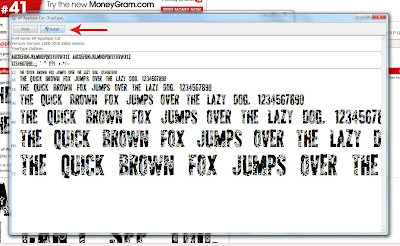 You will recognize them by mainly .ttf (short for truetype font) or .otf (short for opentype font) extensions. 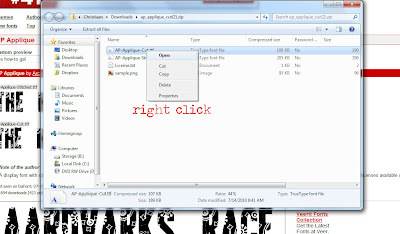 Right click on the font file and click Open. When the font file is open, near the top you will see a button that says Install. 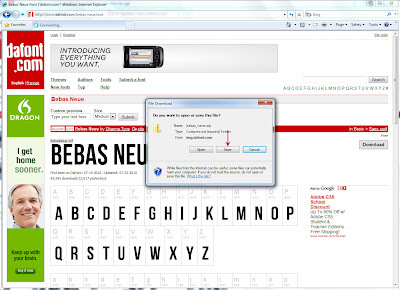 Click the Install button and within a few seconds the font will be installed on your computer! If you are working in Word or another program, we recommend closing out of it and opening it back up if you plan on using the font right away. 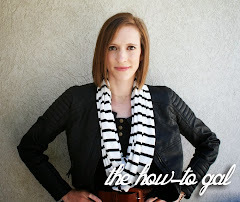 Hope this tutorial helps you PC-ers out there! Let me know if you have any questions.